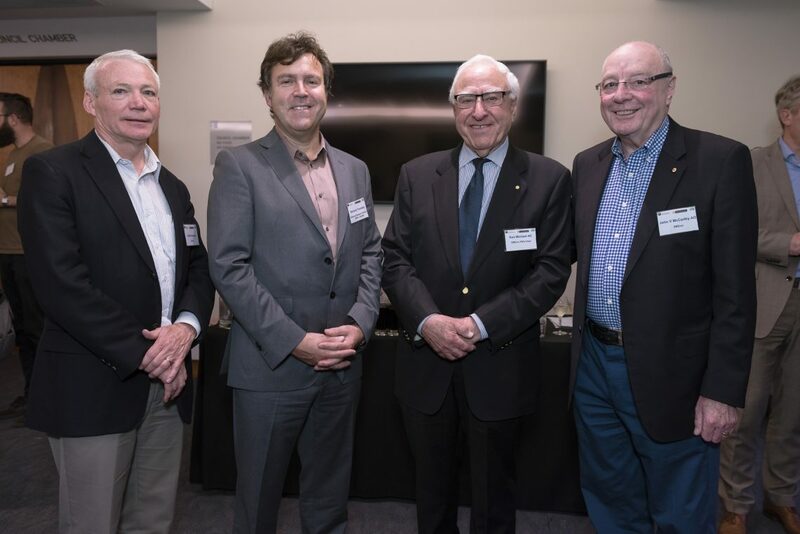 For the first time in Western Australia, the Board of the International Council for Research and Innovation in Building and Construction (CIB) met in Perth, Australia during the week of 13 November 2017. 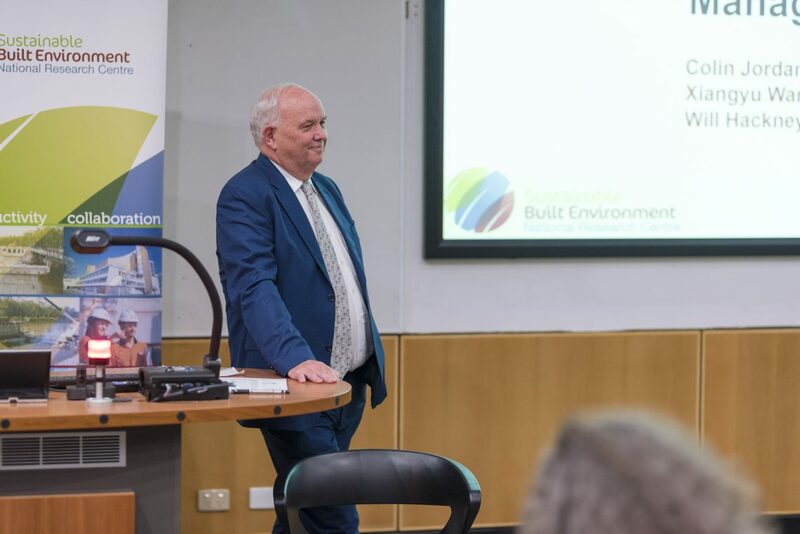 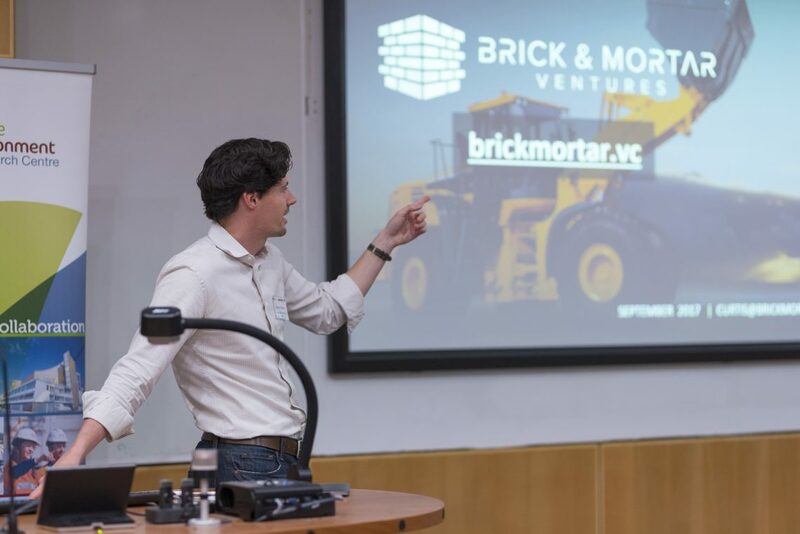 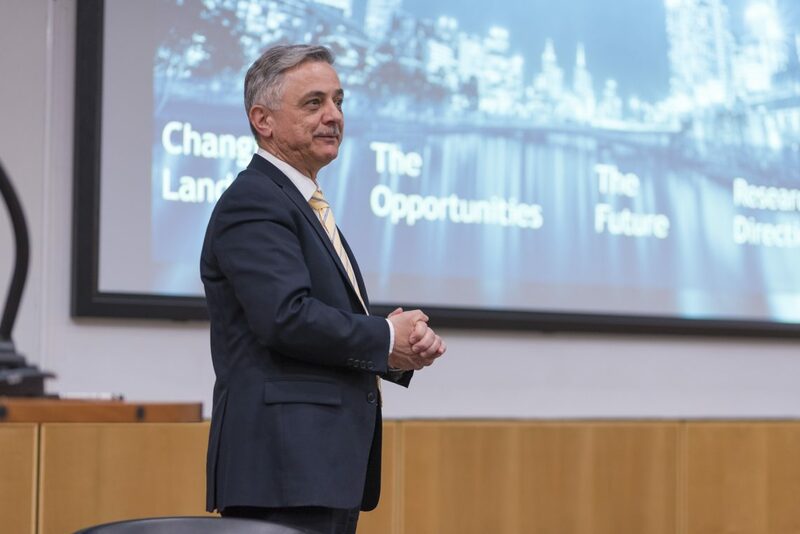 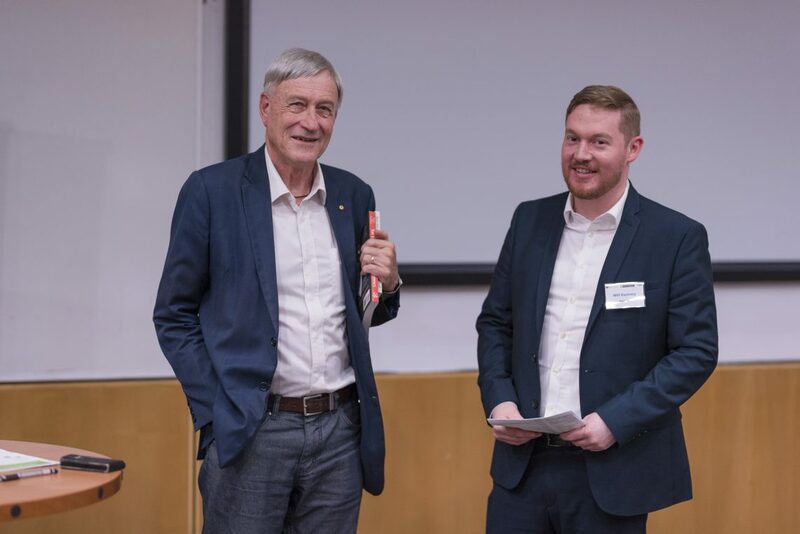 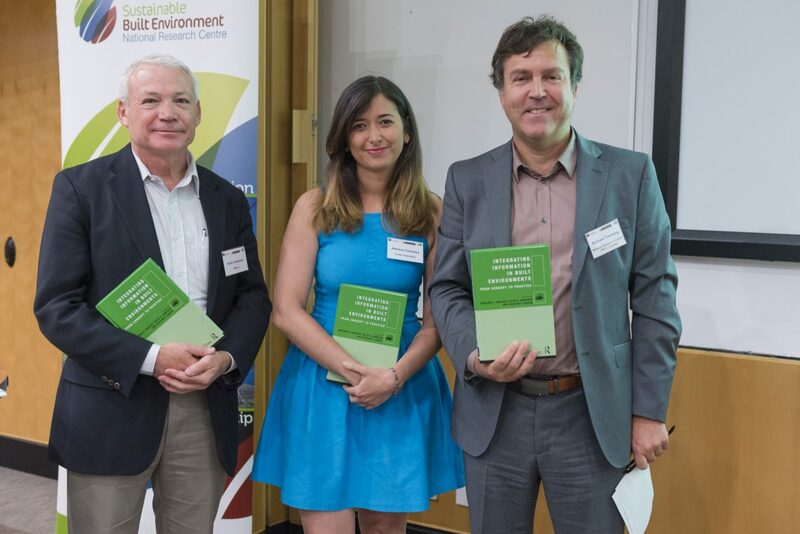 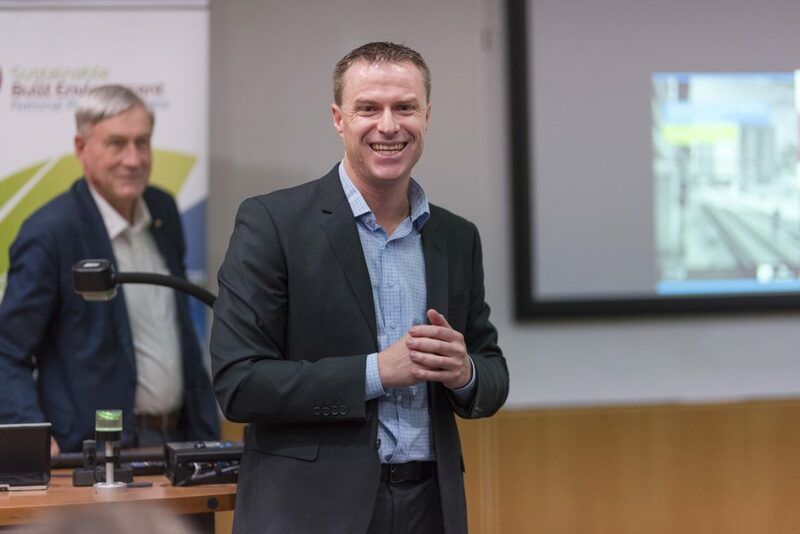 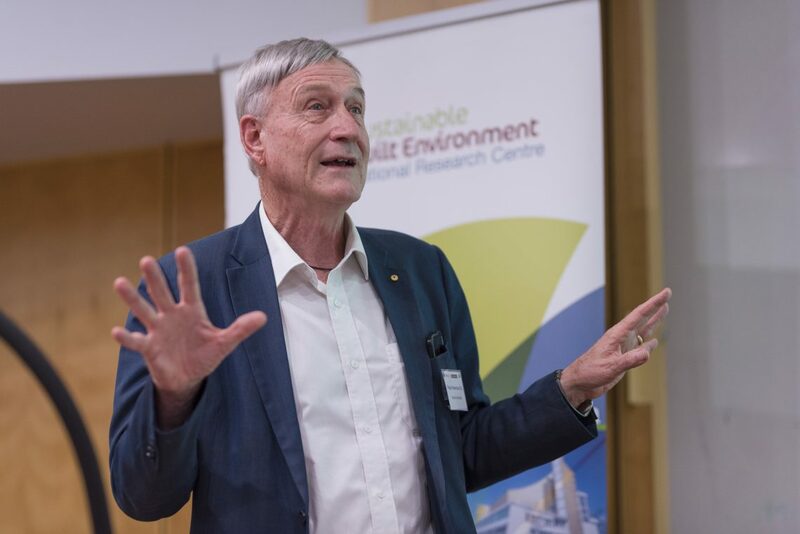 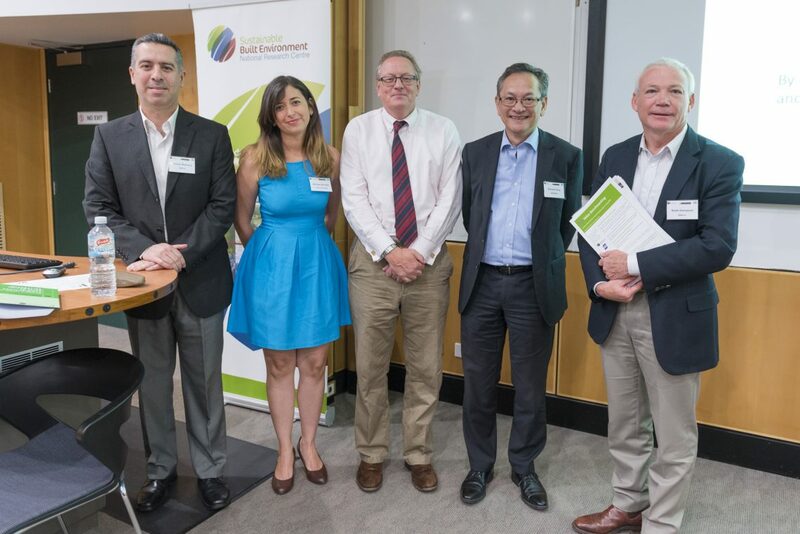 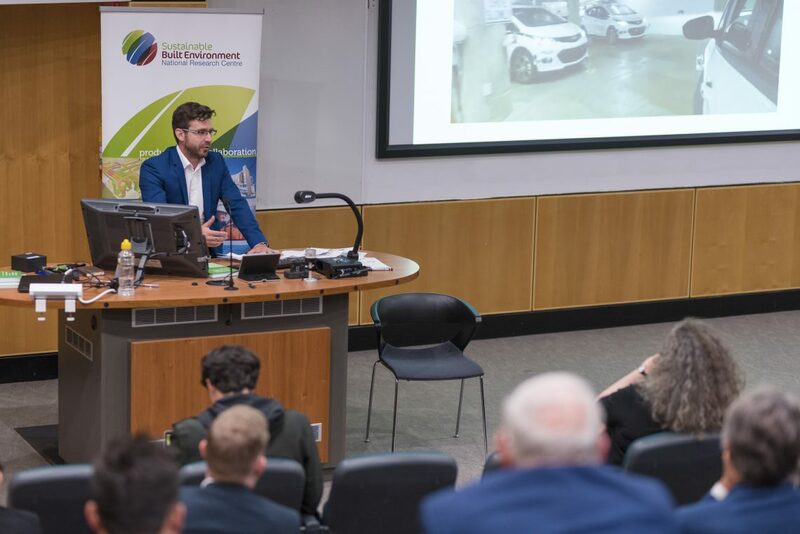 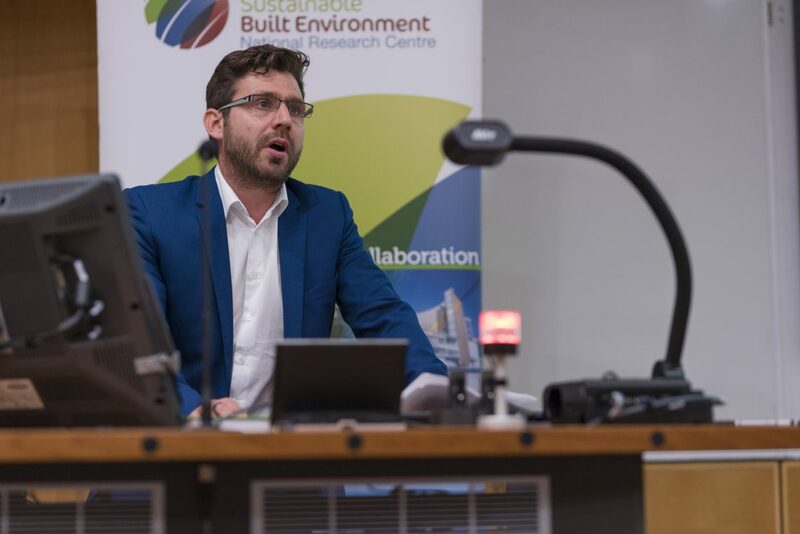 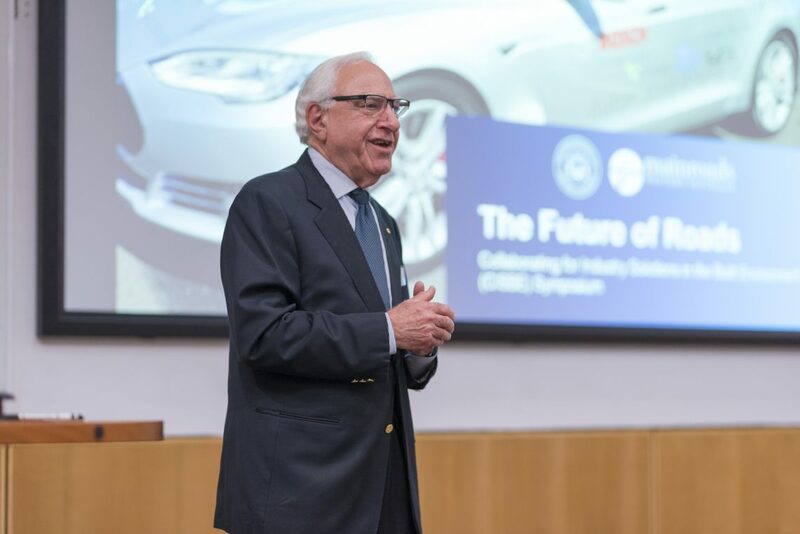 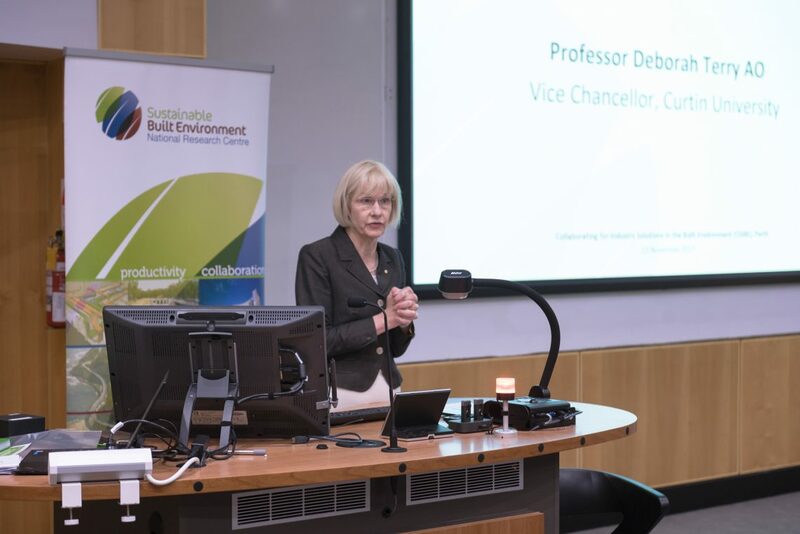 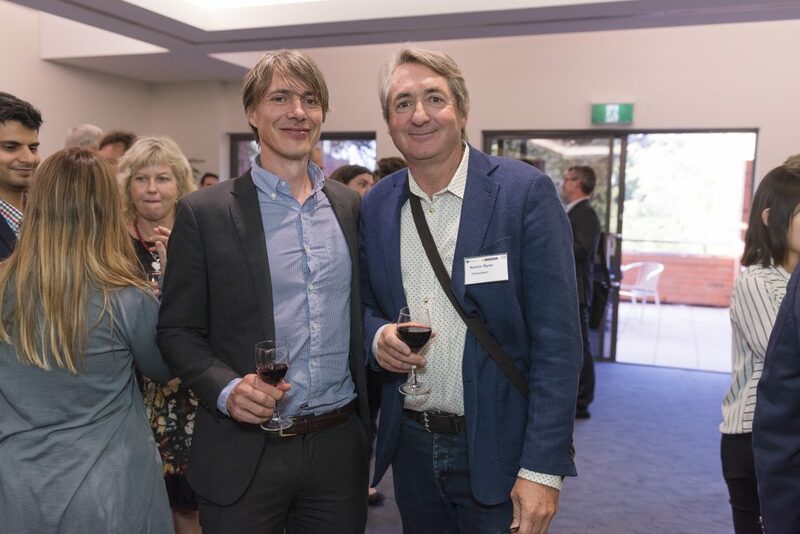 In conjunction with this CIB activity, the SBEnrc and Curtin University hosted ‘Collaborating for Industry Solutions in the Built Environment (CISBE)‘ International Symposium on 15 November 2017, which brought together leading national and international researchers and industry professionals to present key research and industry perspectives on a range of topics related to the built environment. 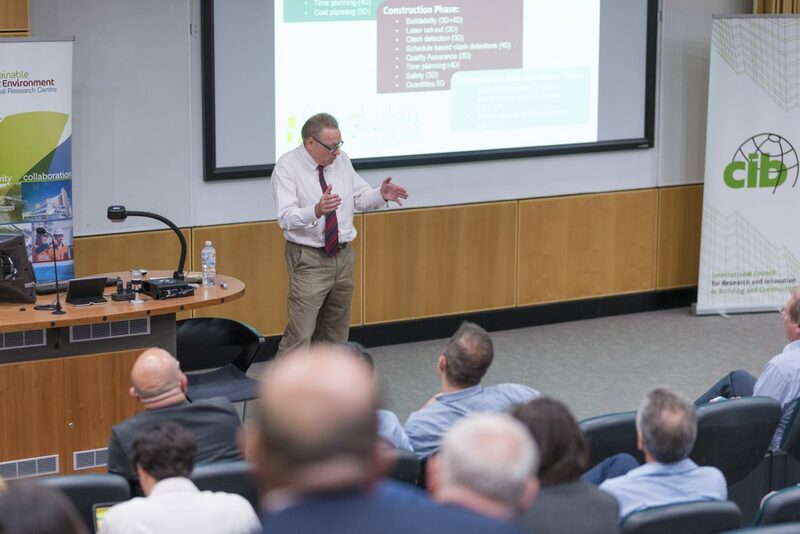 Over 110 delegates from local, interstate and international organisations attended. 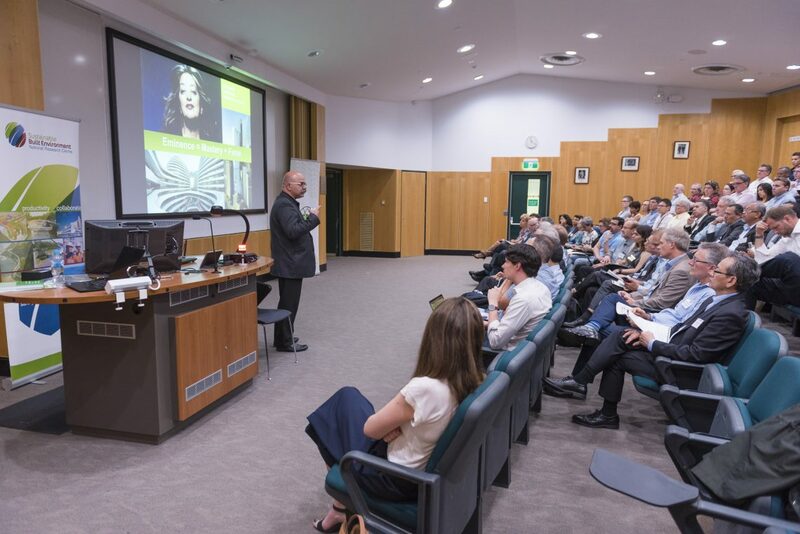 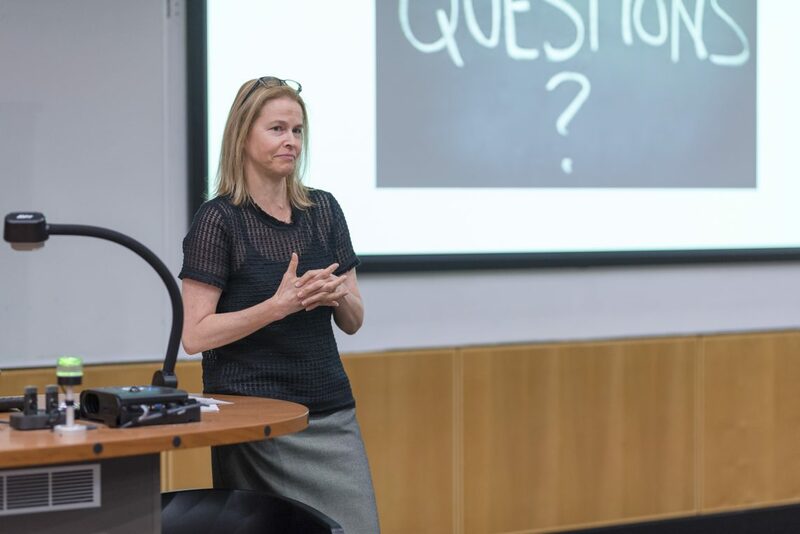 The Symposium was opened by Curtin University’s Vice-Chancellor Professor Deborah Terry AO, and proceedings began with dynamic keynote speakers Professor Kourosh Kayvani, Managing Director – Design, Innovation & Eminence, Aurecon and Curtis Rodgers, Vice President Brick & Mortar Ventures from San Francisco. 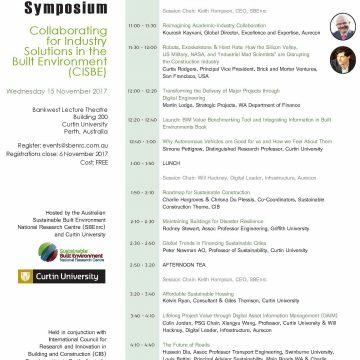 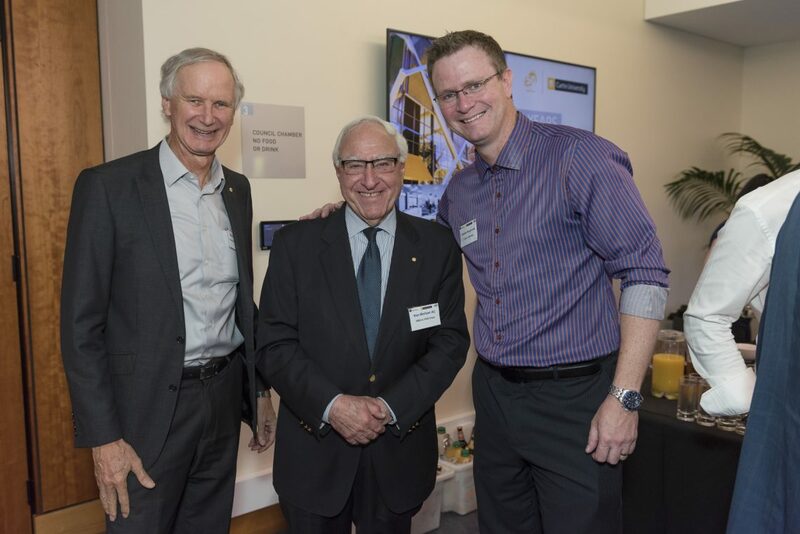 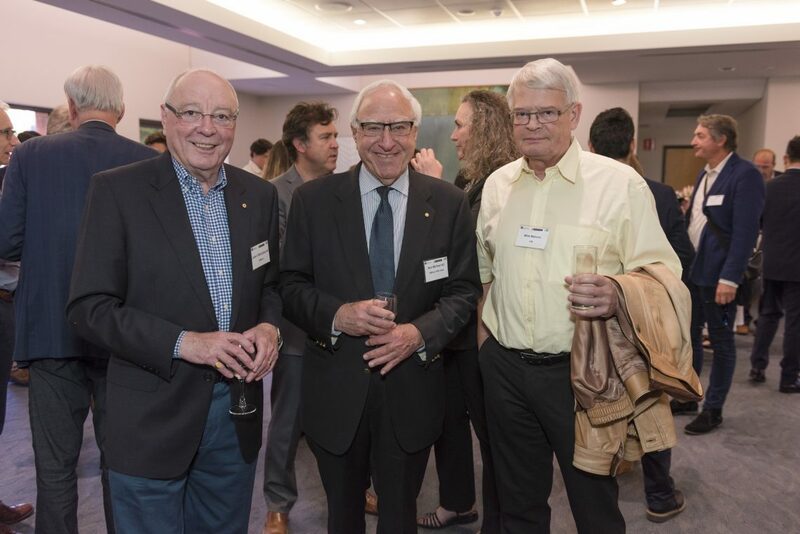 Hosted by the Australian Sustainable Built Environment National Research Centre (SBEnrc) and Curtin University. 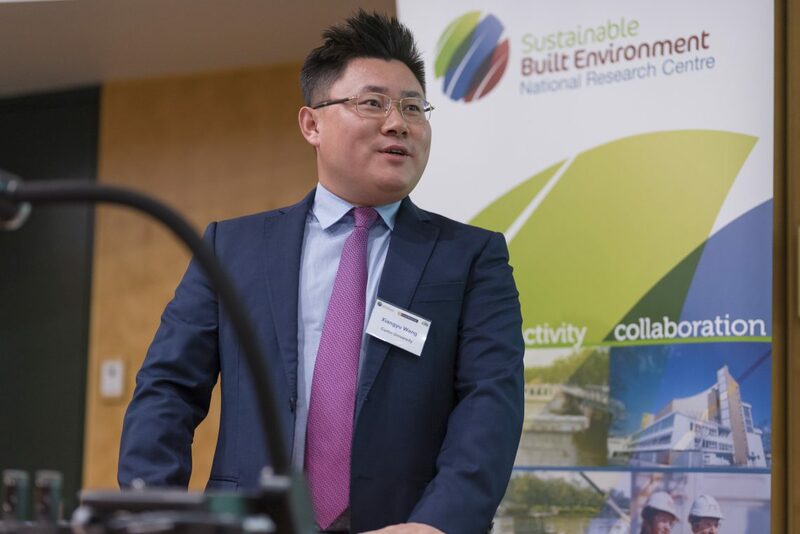 Held in conjunction with the International Council for Research and Innovation in Building and Construction (CIB) Board meeting in Perth, Australia.